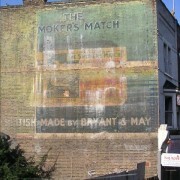 Within East London, areas such as Shoreditch are often associated with ‘hipsters’, vintage fashion and artists. Its demographic diversity makes the area a fertile ground for culture, music, art and everything up-and-coming. 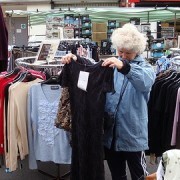 Gentrification in East London has also played a significant role in the area’s development, financially and culturally. 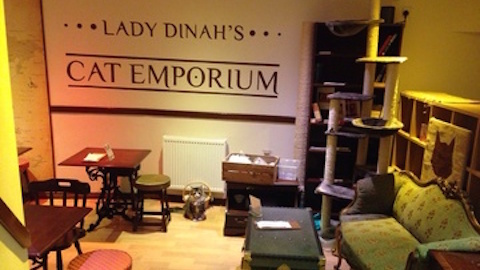 Consequently, the number of trendy cafés with unusual concepts, such as getting your bike fixed or stroking a cat whilst sipping tea, have risen. Are you adventurous? Do you like trying new things? 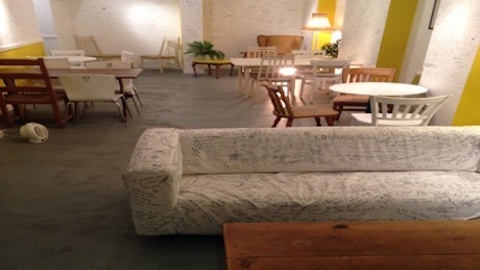 Read ELL’s guide to quirky cafés and be inspired! Cereal might not come to mind when you first think of cafés, but after the Cereal Killer Café opened its doors to the public in Brick Lane last year, it’s all the rage. It is the UK’s first café which specialises in cereal. If you want to start your day with a sugar rush, this is the place to go. The café has a modern and cool vibe, especially since they use an iPad as their till and for taking orders. Gary Keery and his twin brother Alan, from Belfast, decided to set up shop after having a “a sugar rush induced dream”. The café offers 120 different types of cereal, 30 kinds of milk and a selection of 20 toppings. The prices for each bowl range from £3 for small, £4 for medium and £5 for a large size. Elly Feeney, a cerealist at Cereal Killer Café, said: “It is about the experience and not somewhere you go everyday”. Their menu also includes American and global cereals, so getting hold of these in the UK is not nearly impossible anymore. 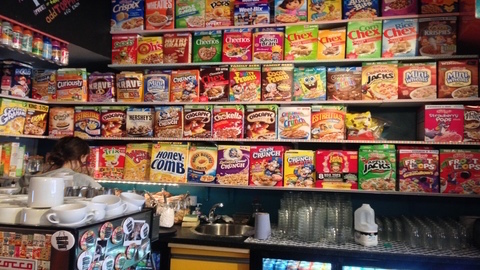 Yasmine Hajji, 20, a Media and Sociology student at Goldsmiths University of London, described the place as “novelty” and said: “I wanted to try it out because of the controversy surrounding it when it first opened and also I love cereal and thought it would be cool to try out some cereals you wouldn’t come by normally”. If you prefer to go for a healthier option, check out pop-up Porridge Café, which opened in March in Shoreditch. The idea of serving healthy food is very much reflected in how the café presents itself as a very clean and fresh environment thanks to the minimalistic design of the wooden floors and tables and white walls. Elly Harrington, one of the founders along with Nick Williamson, said: “The health benefit of oats and grains combined with tasty and interesting ingredients are always at the heart of what we do.” If you have a sweet tooth or like a savoury option, the Porridge Café has got you covered. They offer sweet porridge with baked apple, raisin and cinnamon to get you in the winter spirit and a savoury alternative with caramelised onion and cauliflower. Unlike other cafés or restaurants, you can hear and smell your food being prepared and cooked in the kitchen as it is only separated from the seating area by a black sliding wall, which gives it a homely vibe. Rachel Roe, 24, Senior Arts Officer at Southwark Council from Hackney, who has come here twice since the café opened this month, said: “I love it. I like that it always has a vegan option and it is really healthy”. If you fancy popping down for some porridge, you can check their website for information on where the next location is going to be. Who knows, maybe it will come to your area? Look Mum No Hands is a bicycle café which opened in 2010 in Hackney, where cycle-related products are available alongside the menu. Bike art and photography is put up on the front window and inside the cafe. 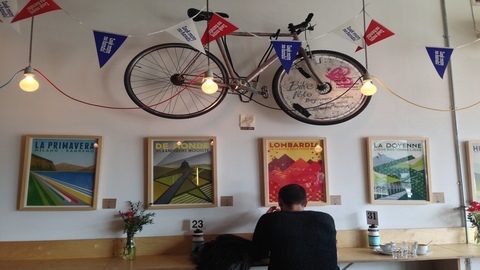 Owners Sam Humpheson and Alex Davis told EastLondonLines: “You can have a coffee and a cake while our mechanics fix your puncture, or just enjoy the bikey atmosphere and sample the fantastic breakfast or lunch menus”. The café has two branches, one in Mare Street in Hackney and the second, which offers workshops, on Old Street in Islington, both situated in areas where many cyclists are seen around. The workshops held involve bike maintenance courses which include free tool kits and coffee. Joe Russ, 26, a complaint handler from Bethnal Green who is a “fan of all things cycling” said that LMNH also “often shows the big bike races on a projector at weekends, which is good”. The Canvas is the UK’s first happy café and venue where art events and workshops about self esteem are held. It is designed to make you happier through their homemade hearty food and talks on mental health and body confidence. The coffee bar was founded by Ruth Rogers in 2014, which then became widely known as ‘Happy Café’ in after its launch with Action for Happiness in March, an non-profit organisation aimed at creating more happiness in the world. Rogers previously set up Body Gossip, a positive body image charity, in which she took a white sofa to Edinburgh Fringe Festival in 2007 and asked passers-by to jot down what they thought of their own body on the sofa. Reading the comments inspired her to open The Canvas which is about “self-expression, sharing, and the power of your words. It’s also about reaffirming our faith in humanity”, she said. Markus Schabbing, 25, actor and puppeteer from Southwark, said his favourite part of the coffeehouse are the walls which you can freely draw on just like on the white sofa. “Every wall section has a topic that makes me think about something in my life and, for me, makes me respond to that in a creative way”. He compared this concept with Facebook where people post on their walls for friends to see; but, in this café, this becomes real. 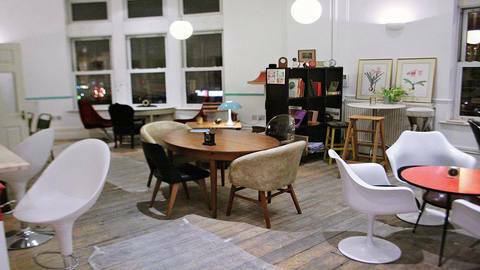 Ziferblat, is London’s first pay-by-minute café. It is one of the UK branches of the Russian coffee shop chain, which is described as a tree house for adults where “everything is free inside except the time you spend there”. Interestingly, the name derives from the word ‘Zifferblatt’ which means a clock-face in Russian and German. There are only two in the UK: one in Shoreditch, which is only a year old, and the other in Manchester. David Blackwell, 24, an event host and manager of volunteers said: “When you are here you focus on the place and people rather than the coffee. You pay for your time. It is more about how you use this space. Interact with the place and make it feel like home”. 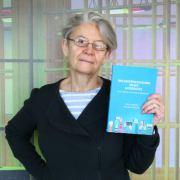 Customers coming here are encouraged to collaborate with each other, browse the book selection and play the piano. It is a place which is supposed to make you feel at home and relaxed. Elliott Morris, 25, singer and songwriter from Lincolnshire who played a gig at the café, said that Ziferblat is “a unique space, bursting with character. Just walking in puts a huge grin on my face”. Coffee and cake is free here, you only need to pay 5p per minute and £3 an hour if you decide to stay.